The best paying jobs and top 10 FinTech companies revealed. What's missing from back-end systems? 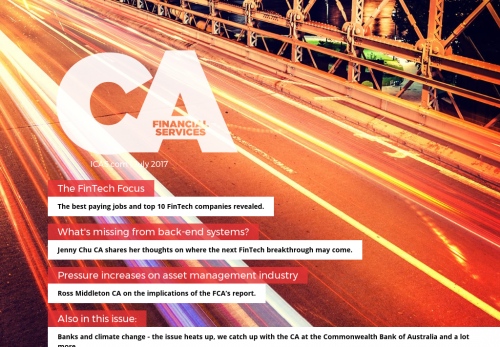 Jenny Chu CA shares her thoughts on where the next FinTech breakthrough may come. Ross Middleton CA on the implications of the FCA’s report.